It was an early morning trip to Mataas na kahoy, Batangas to do an official business trip to the Taal volcano island for an energy assessment. The trip was not that long as it took us only around two hours from Quezon City since there was no heavy traffic yet. I knew we were already near the place as we turned right from STAR tollways, but leaving early for this official mission was taking its toll on me. I tried to keep awake as I always make it a point not to sleep on the way to any new destination so that I can appreciate the views along the way. In no time, we were already at the TLCC (Taal Lake Conservation Center), which is managed by Pusod Pilipinas. The TLCC was perfectly located at the lake shore. It seemed like an ordinary establishment along the shore but as soon as I stepped further near the lake, I realized that a beautiful scenery was waiting for me. Needless to say, I was awed and mesmerized with what I saw--like caffeine to my sleepy photographer soul. Not wasting any minute I immediately brought out my camera before the short breakfast and briefing and managed to take some shots before we left for the volcano island. 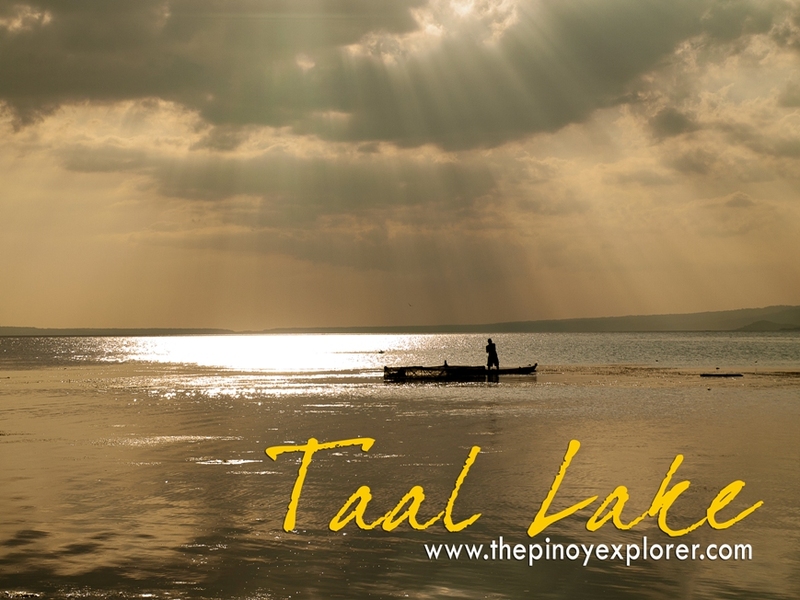 The calm water, birds darting in the water and feeding on fishes, fisherfolks catching the meal for the day, the warm morning sun, cold morning air, the panoramic view of the distant island on the lake and the scent of grass--all made up this picture-perfect view of Taal Lake. Going back in the afternoon made the place more beautiful and inviting. As the sun sets, the place exuded that rustic charm and unequaled calmness. The warmth was just right and soothing to our tired bodies and mind and lifted our spirits as it exuded that quiescence penetrating one's soul. The golden rays hiding and penetrating the sporadic clouds made one of the most beautiful god rays I have seen in my life. No words can exactly express what I felt that day. It has been quite a time since I experience peace and calm in the middle of work. Some travel bloggers wish they have a work similar to mine, but I must say that for more than 20 years now, I am simply blessed to have an opportunity to help communities help themselves. Having the grand time of appreciating the countryside is just the fringe benefits. Simply said, in the middle of all these work, I felt peace and serenity.